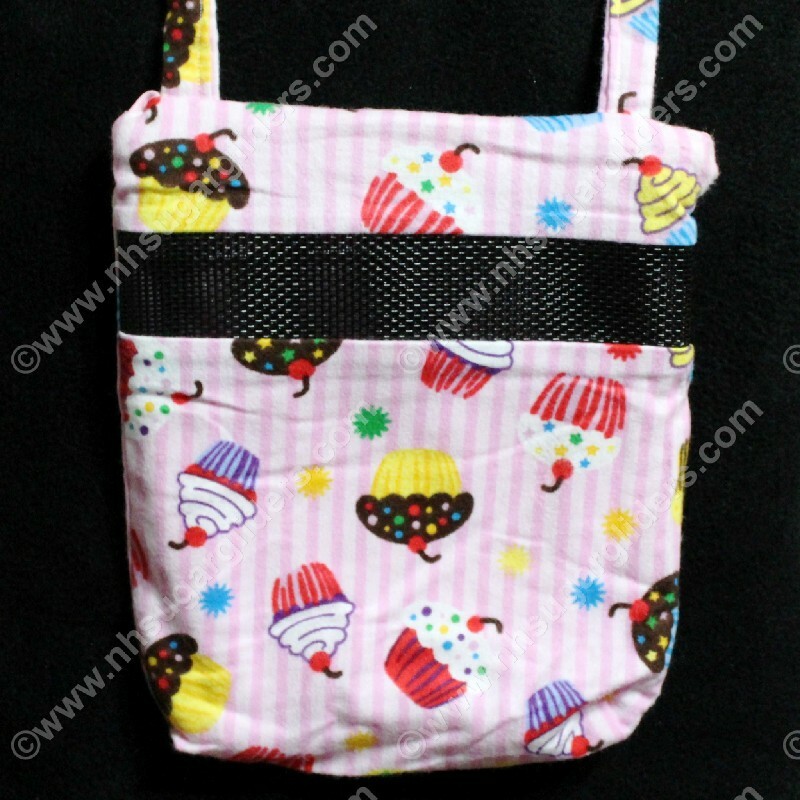 Cupcakes & Stripes bonding pouch with a mesh window, zippered top and carrying strap. Exterior is a quality cotton print and the interior is sugar glider safe polar fleece with ALL hidden seams for safety. Can comfortably hold 2-3 adult sugar gliders. A must have accessory to keep your sugar gliders safe and to help with the bonding process.